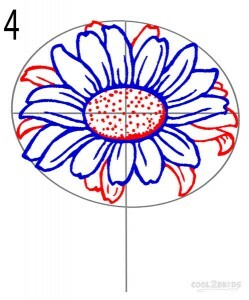 Drawing a realistic flower can be quite a tricky job, as imitating the shape of the petals does not always come naturally. 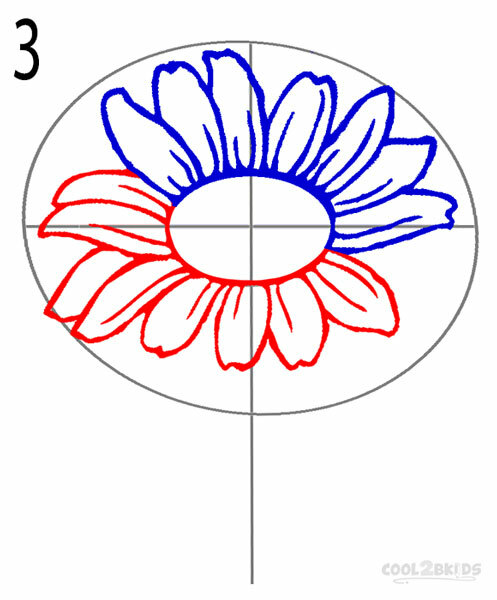 Be it a rose, a daisy or a sunflower, each one has its unique appearance and color pattern. 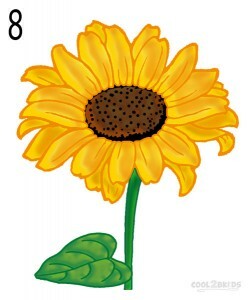 Given below is a simple step-by-step instruction for a neat sunflower with a little leaf. 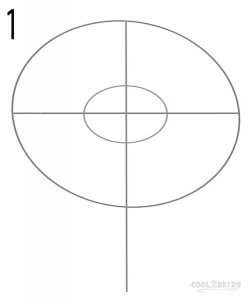 Begin by drawing a large oval, followed by a smaller one inside the first one. 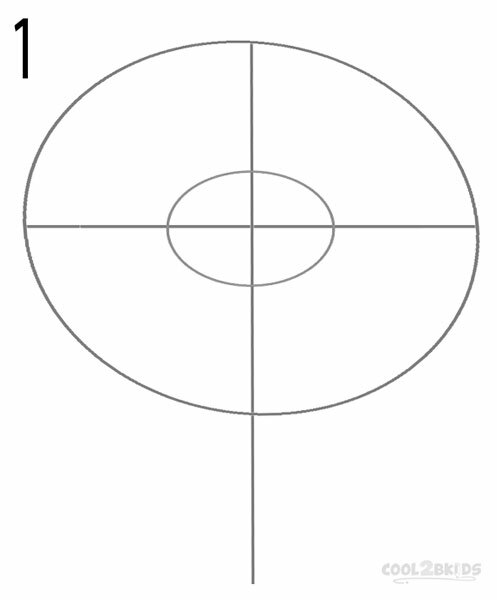 Then, draw two straight lines, cutting each other at a 90° angle at the center of the circles. 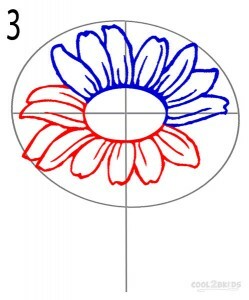 Now see the picture to draw the petals around the smaller circle, keeping them within the line drawn for the outer circle. 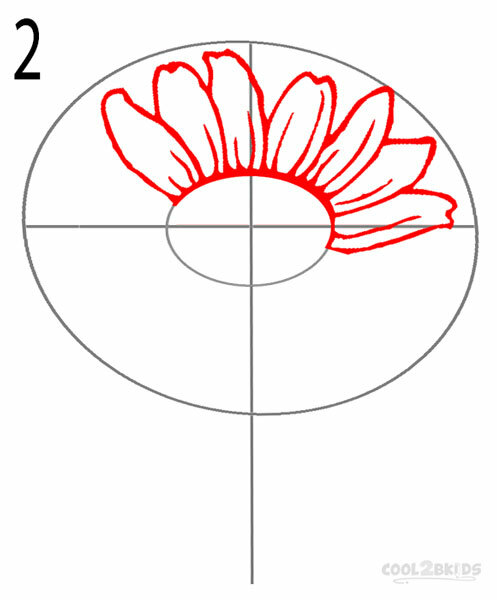 Work on the rest of the petals in the similar manner. 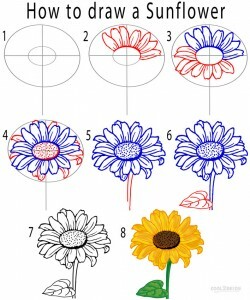 You must have noticed how sunflowers have multiple layers of petals? So, it’s time to draw some partially visible petals behind the ones you just drew. Also, fill the center disk with dots to make it look realistic. 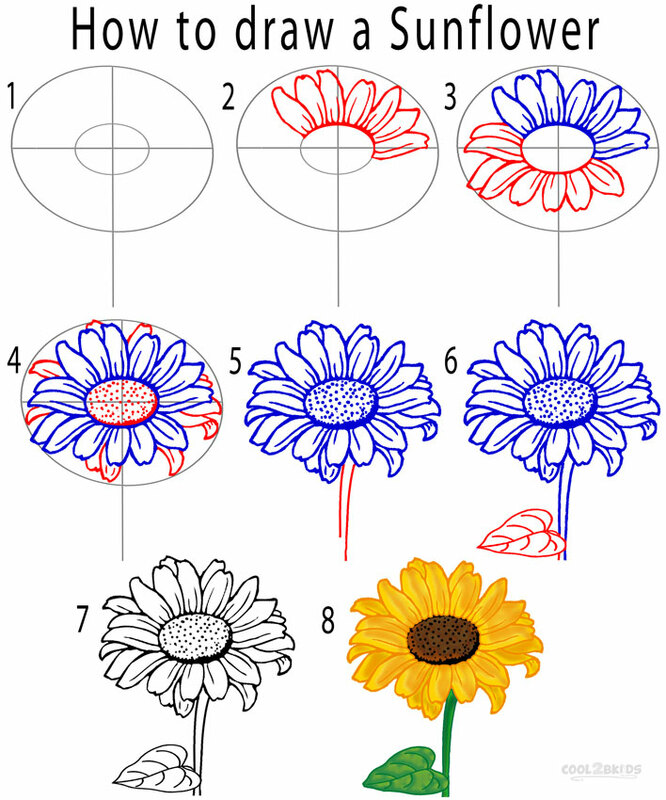 Next, carefully erase the circles and straight lines drawn for the outlines of your sunflower. 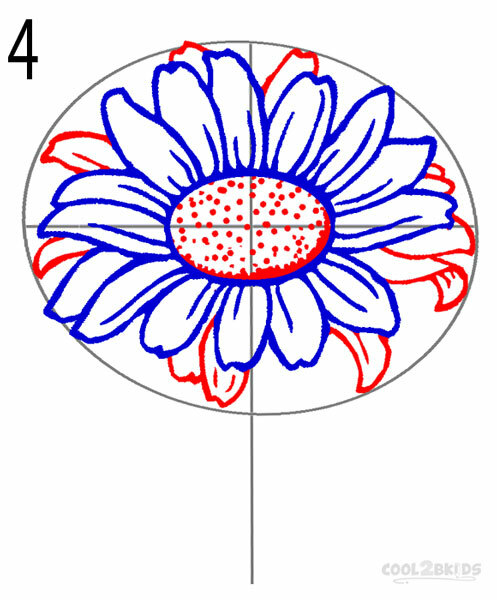 Use the extended line below the flower to make the stalk. 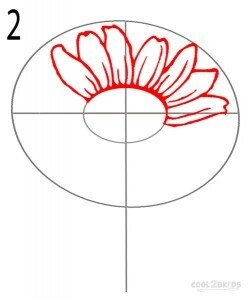 See the picture to draw the simple leaf with its veins. 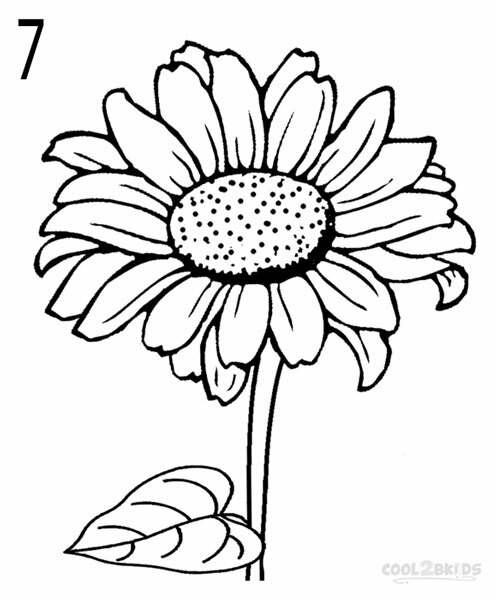 Check for any left out lines from the outline drawing and erase them to finish your sunflower. 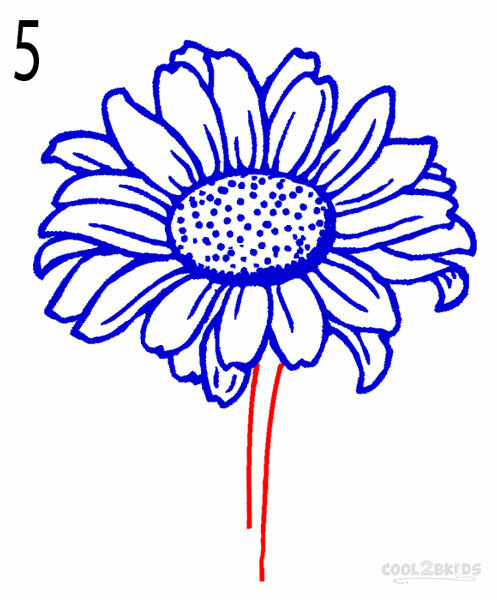 Here comes the fun part as you will now fill the flower with the suitable shades of bright yellow, chocolate brown and green. Use the picture as your guide. 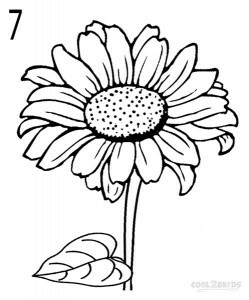 So, here you learnt to draw a sunflower. 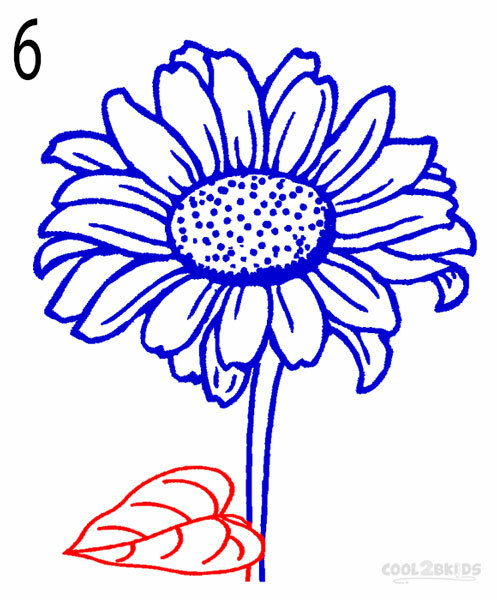 Check out the tutorial for drawing a rose an you can then start working on your own picture of a bright and colorful flower garden. Thanks looks good I am a granny and never drew before and it came out great. Thanks again. 1000 thanks I was in need for this tutorial…I LOVE it?? I love how u did it by step by step BC. I don’t know how to draw. And again I do want to be a good drawler. So keep making step by step things. I hope I say this against and again thzs for making a STEP BY STEP. Again thzs for making a STEP BY STEP. Again thzs for making a STEP BY STEP. Again thzs for making a STEP BY STEP. Now I’ll stop so please read this.